DevOps is something that has been garnering a lot of attention whenever software development is brought up as a topic. At GoodWorkLabs, we believe in creating applications that perform consistently well. Applications normally run the risk of crashing or server downtimes thus scaling down the performance of the software. But before we dive into the technicalities of the DevOps life cycle, let’s first cover the basics. The term DevOps is essentially an amalgamation of two words- “development” and “operations.” The entire methodology of DevOps revolves around the process to combine software development with the operations involved in Information Technology. The core goal of DevOps is to ensure a short system delivery life cycle. Once the cycle of a system delivery is brought in check, it becomes easier for any organization to pick up speed and deliver their services and applications to clients quickly. DevOps is not a term. It is a process that is useful when merged with the culture of an organization and leads to great and consistent results for clients. DevOps helps a company stay afloat in the market. This culture is best suited for large distribution platforms such as websites that involve e-commerce and applications that are stored on a cloud platform. To reduce the number of repetitive calls to dcrypt_card and encrypt_card. Identified particular gameplay that consumed about ~7% of the CPU which led the risk to explode if the number of players for the given gameplay increased. Follow an iterative testing model to ensure no bugs enter the game architecture with the changes recommended. To migrate the database to a NoSQL DB like MongoDB to scale performance. In the long term, this helps to keep performance consistent. Thus, with the above set of DevOps recommendations, GoodWorkLabs was able to considerably enhance the game experience. To understand how this process works, let’s take a look at the different stages in the DevOps life cycle. 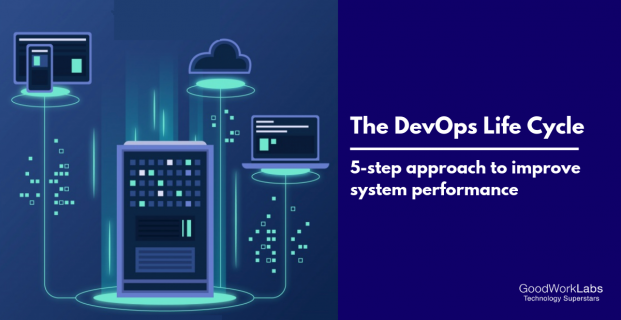 Once the business goals and objectives have been clearly identified and resource planning and optimization is done, the DevOps strategy moves through the following stages. This is the very first phase which involves the planning procedure of your application. Development takes place once you list down a bundle of objectives that are to be achieved through the application you want to create. Once you close in and take a final call on the objectives, you are ready to head over to carry out the development of your project. This constitutes the procedures of generating the relevant codes and getting them ready for the next phase. Because DevOps is a consistent procedure, existing code can also be used for further enhancements by taking continuous feedback on the development. This is a phase that happens as a subsequent step to the development process. Integration comprises of a series of planned steps that need to be executed in the later phases and also analyze as to whether the developed code has a performance that matches up to the set objectives or not. The performance of this code is a big evaluation metric for project documentation. Testing is the phase wherein practical use of the application under DevOps gets merged into. A consumer or a beta tester makes an effort to ensure that the application is made proficient enough to yield plausible results that are feasible in the real world. Testing provides a lot of deeper insights regarding various aspects of the application. This is a great positive as any changes to be made are straightaway sent to the development process again. Testing enables consistent improvements in the overall working of an application and prepares it for launch in the real world. Monitoring is a phase which involves the operational factors of the entire DevOps process. This is where a lot of crucial information about the application usage is saved and intricately processed with the objective of finding out the areas of errors and take note of the present trends that involve the application. This monitoring is more often than not, integrated right within the software that can be in the form of files or even churn out data about certain benchmarks when the application is under use. Feedback is the phase that makes consistent improvements within the application. A lot of consistent analysis is done within the operating software to take note of feedback that best describes the current situation of the application. With this regular feedback system, the next development phase of the application is updated with all desired changes. 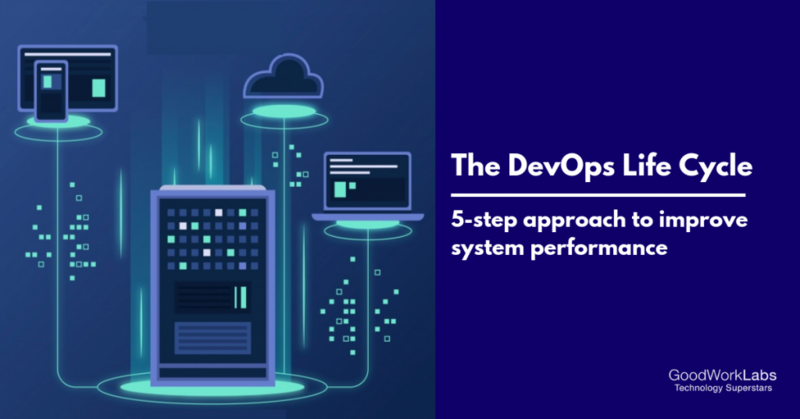 DevOps has continuity embedded deep into its core, as it is nothing but the redundant steps that elevate an application from a mere project to a sound operating software. This helps the software get better with every update as the development is continuous without any bottlenecks. DevOps is undoubtedly a great way to undertake the entire procedure of application development. 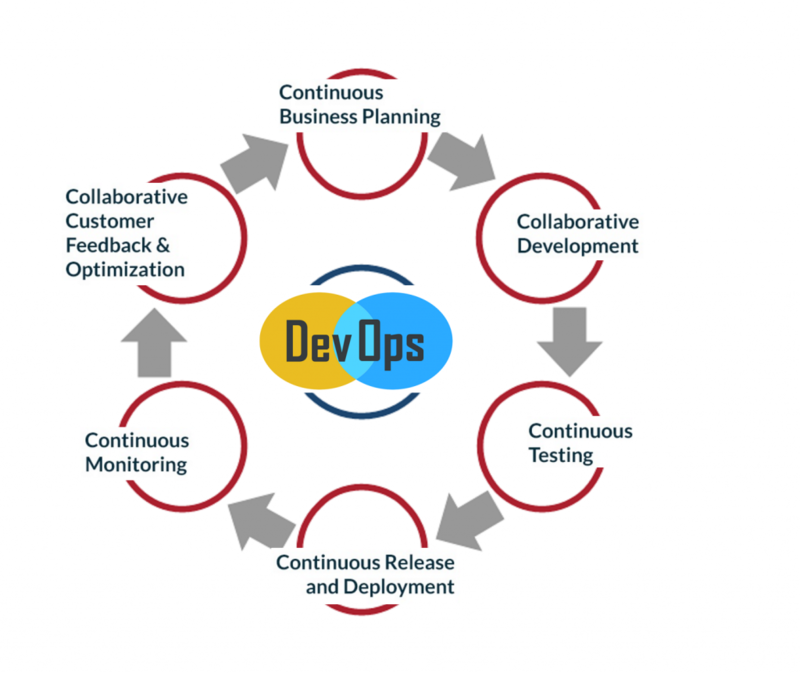 DevOps is what helps a business application to up its game by keeping the feedbacks of the end customer in the forefront throughout the operating life cycle. When it comes to applications that are dynamic and fluid to the trends of the market, it is nothing but DevOps that can help constant evolution and take up new challenges head-on. If you are looking to optimize the performance of your applications or software and require a proven DevOps strategy, then send us a short message with your requirements.